Repair services are offered to keep your IT infrastructure working beyond the specifications. Enhance IT efficiency with complete diagnose solutions. Highly aware of your company’s business requirements, HP provides a portfolio of services that can be ordered on an occasional basis. 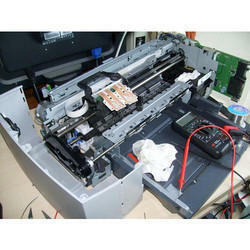 These services are complemented by a 3 months parts and labor warranty best efforts. Your equipment is down, but your warranty has expired, or your device is not covered with an HP Care Pack or HP support contract. You can opt for the repair only but also for different combinations including the repair service and Kit replacement that can be managed during the same intervention. As an eminent organization, we are offering Computer Repairing Services to our clients. 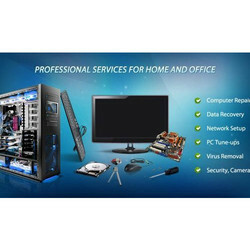 We have recruited dedicated professionals who have a lot of technical expertise in offering these repairing services as per requirement of clients. Our professionals render these services in given time frame and ensure that no flaw is found in our repair work. We provide these services at a highly affordable price to the clients. 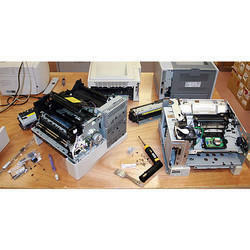 Both onsite and offsite repairing services for the computer are provided at 24techsupport. We have skilled professionals who have lots of experience in their field. They use latest tool and technology for providing better services. Fostered by a crew of highly experienced and adroit team of personnel, we are capable of presenting to our patrons an enormous spectrum of Printers Repairing Service. With the aid of cutting-edge techniques, we deliver these services in accordance with their demands. Due to their well-timed execution, these presented services are immensely values amid our patrons. Not only this, these could be purchased from us at highly affordable rates.